Several communities in Central Alberta have developed trail systems and more are being planned. 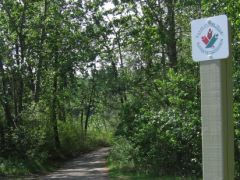 Many will be part of or linked to the Trans Canada Trail. 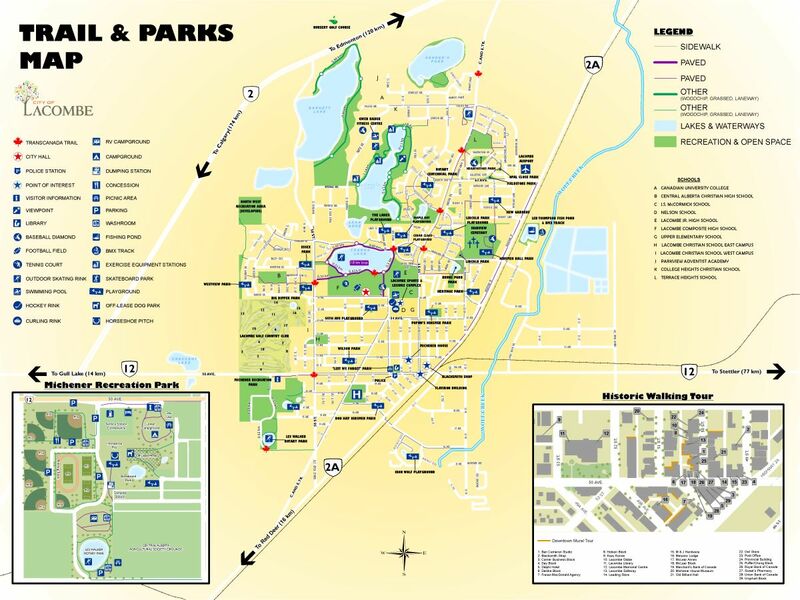 The largest and best known trail system is in the City of Red Deer, much of which is in Waskasoo Park. Citizens of the city have ranked the trail system as one of the most cherished amenities of the community. A Trans Canada Trail pavilion is located near Bower Ponds. 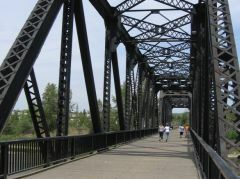 Other extensive trail networks have been developed in Innisfail, Lacombe, Ponoka, Sylvan Lake and Wetaskiwin. Others are currently being developed in Penhold and Blackfalds. Ponoka recently completed a new pedestrian/bicycle bridge across the Battle River. Red Deer and Red Deer County are in the planning stages of extending Waskasoo Park into the County along rivers, tributaries and possibly abandoned railway lines.